I was invited to participate in a new facebook game. Everybody knows, I dislike those and wouldn’t participate. A few friends know that I cannot refrain from participating in a musical challenge. So, what follows now is the collection of “7 days – 7 pieces“. I proclaimed my overarching theme to be “Rarities”, hence tried my best to find rarely played bands, singers and/or tracks. The No. 1 issue of “my” Top Album Challenge – in a way – ends with “The End”. No. 10 sort-of closes the loop to No. 1. While the first marked the end to the only ever band in this world’s music scene which transformed multiple eras (yes, puritans, it wasn’t their last album), the latter marks the beginning of the solo career of one of its members, who’s work during the band’s time always remained a little neglected and underestimated (yes, again, it wasn’t his first solo album, either 😉). However, by the time the Beatles broke up, George had the amount of a three-piece vinyl masterpiece of songs ready to be published. 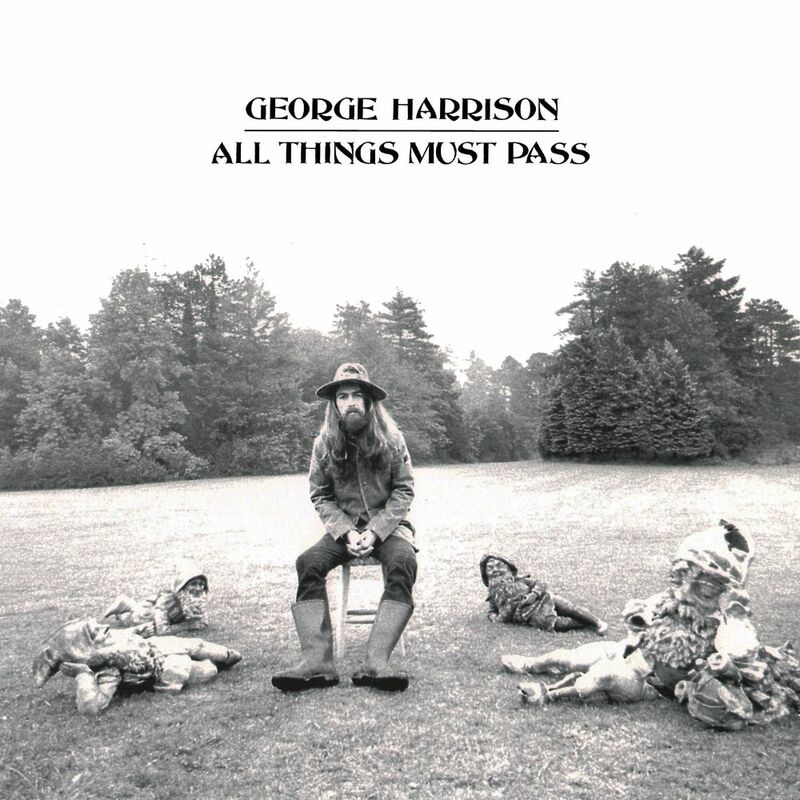 Issued – eventually – under the name of “All Things Must Pass”, mastered by the “infamous” Phil Spector (who’s art of “thickening” every song with a whole lot of doubled instrumental tracks and a huge and fat drum section I not always appreciate; however, in this case, this is how it has to be). There isn’t really something authentic on youtube for presenting the album in its original form. I did, though, find this list which is pretty accurate. So, here’s the closing of a challenge I very much enjoyed. And here’s a “thanx” to Claudia for nominating me. P.S. : And there is, of course, the following. It contains almost all the important songs of this album and more, played to honour their creator by his closest musical friends … May the holiday season provide time for enjoying the all-time-greatest concert ever: Concert for George, Royal Albert Hall, Nov 29, 2002. Later – when announcing his epic live – Ian Anderson would say: “… we even did concept albums …” – with a little pitch in the tone on “concept”. Jethro Tull weren’t particularly a progrock formation, more like a genius crossover of folk, rock, a little irish/celtic here and there with progrock as the icing of the cake. No. Wrong. The icing of the cake was Anderson’s art of playing and “singing” the flute at the very same time. “Little Milton” named the poem he won with “Thick as a Brick”. And the newspaper reports are reprinted beneath the youtube link, I chose … Have fun with my penultimate top album challenge feature! P.S. 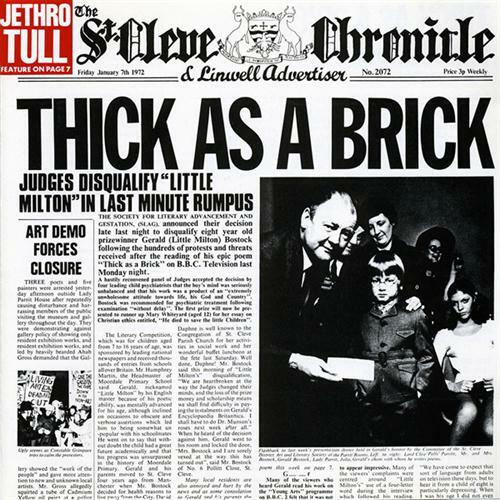 : When searching google for “thick as a brick newspaper“, one can find loads of copies of that 12 page St. Cleve Chronicle & Linwell Advertiser from 1972. Commencing the holiday season with my passion for progrock (and I won’t keep you long with words): “Yes” were my entrance into progrock. “Yes” were amongst my first ever bought LPs (and I still own those). “Yes” opened a way into music during my late teenage years like no other group. 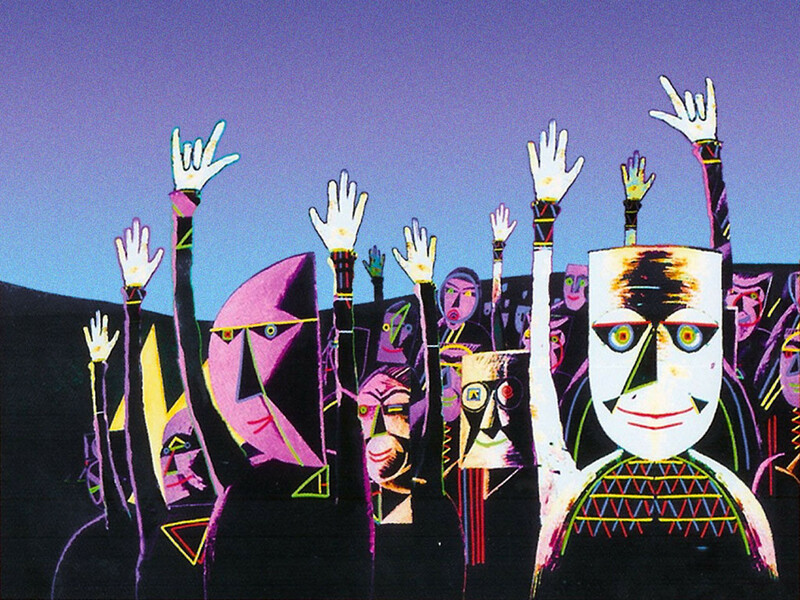 “Yes” – for me – remains the utmost musical art. It was a complete artistic masterpiece. Songs. Suite-style compositions. Ever-changing hard-to-follow rhythm and structure. And beyond-awesome album cover artwork by Roger Dean. Meanwhile my collection – crazily enough – contains all the official Yes-work, the records of the “diaspora” era when Chris Squire and Jon Anderson had parted paths, the “Yes, Friends and Relatives” albums and a few semi-official stuff. 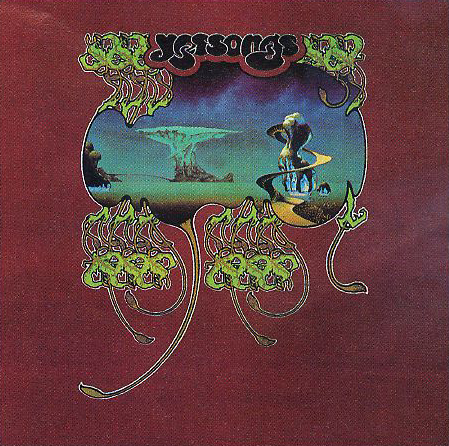 Why I chose “Yessongs” for the Top-Album-Challenge? Because I’ve restricted myself to only one per artist 😉 – and this is the most comprehensive compilation of their early works. And it’s live – showing off their tremendous genius. Yes, it is not the best of recordings. And: yes, it is not the best of their shows. BUT: It was the one show of Rush that – when having been confronted with them by my brother – left a scar in my striving. No – not to play guitar or keyboard the way Alex Lifeson or Geddy Lee do it. That would’ve been lightyears out of reach for me. The vow I – no: we! 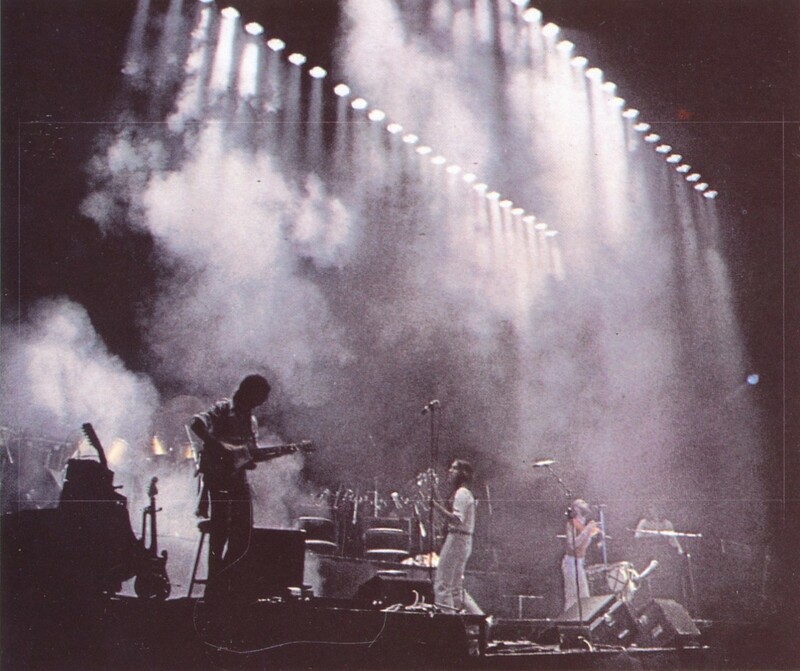 my brother and me – made when having seen this was: Once in a lifetime we WILL see that band live on stage. Which was a pretty difficult thing to accomplish as the closest they normally get to Vienna is as far as Hamburg or Berlin. So, when eventually they were announced for London Wembley in October 2007 we had to be stupid enough to book a mediocre expensive flight and hugely expensive concert tickets for that once in a lifetime experience – and it was worth every single cent! Oh! Yes! Geddy Lee plays bass, bass pedal, keyboard and sings (and the amps are always some kind of weird specially manufactured shape – like e.g. washing machines on some later tour). Alex Lifeson plays all guitars (and normally these days has an armada of pet animals on stage in front of him). The two write the songs. I adore a few – only very few – drummers; and Neil Peart is one of them. Neil’s drumset is always especially manufactured for the respective tour; it’s full circle and has all kinds of sample pads included – and he’s the only drummer in the world, I can listen to in a full-length drum solo (OK – except for Ginger Baker’s Cream and Blind Faith stuff, I think ;)). Neil writes awesome progrock-kind-of lyrics. What you hear is what the 3 guys play live. No joke. No tricks. No backing tracks or overdubs. The 3 are friends. They still are. Since 1969. While composing (long before actually publishing) post No. 6 of the challenge that my friend put onto me, my favourite online music store notifies me of the delivery of the “Endless River” CD (yes, I am still one with that old-fashioned utterly outdated habit of buying CDs). “The Endless River” is probably to be the real “final cut” of Pink Floyd’s oeuvre. It’s essentially compiled of abandoned tracks for the “Division Bell” album (1994) and at this very moment of writing I have no clue whether it will be able to beat any of the Pink Floyd masterpieces I could have chosen to be featured in this series (10 is far too few for a top album list). I could have chosen “A Momentary Lapse of Reason”. That one was the first after Floyd’s breaking up with Roger Waters and Gilmour and Waters entering a year-long lawsuite about the IP rights for the band’s name. 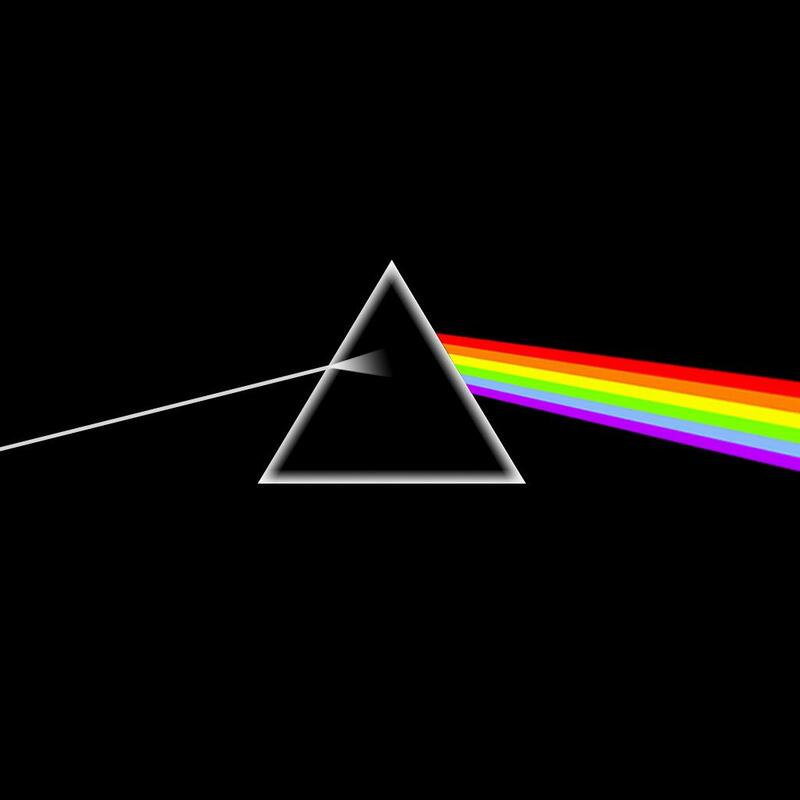 After Waters having had characterized Pink Floyd’s issues for years, the album is a solid representation of what Gilmour and the rest of the crew where capable of doing without other influence. I could’ve picked “Wish You Were Here”, of course, for “Wish You Were Here” and the “diamond ode” to Syd Barrett (at least as I see it). And I could probably have picked any of the other original Pink Floyd albums for they are all under my utmost favourites in musical history. I don’t see it as a riddle. The album uses the sun and the moon as symbols; the light and the dark; the good and the bad; the life force as opposed to the death force. I think it’s a very simple statement saying that all the good things life can offer are there for us to grasp, but that the influence of some dark force in our natures prevents us from seizing them. Another detail (makin’ me chose this one before the others) is that little bit of Beatles in it: When listening to the original album on good gear, one can hear a glimpse of “Ticket to Ride” at the very end, which results – according to different sources – either from it being played in the Abbey Road studios while recording one of the interviews (to be precise, the famous words at the end: “There is no dark side in the moon, really. Matter of fact, it’s all dark.”) or from Alan Parsons (who engineered the record) using a tape which contained the song. Why not “The Wall”? one might ask. Well … there is nothing compared to “The Wall”. “The Wall” is gloriously unique. Eternally unique. Hence, it cannot rank in any list. Never. No top album list without this one! 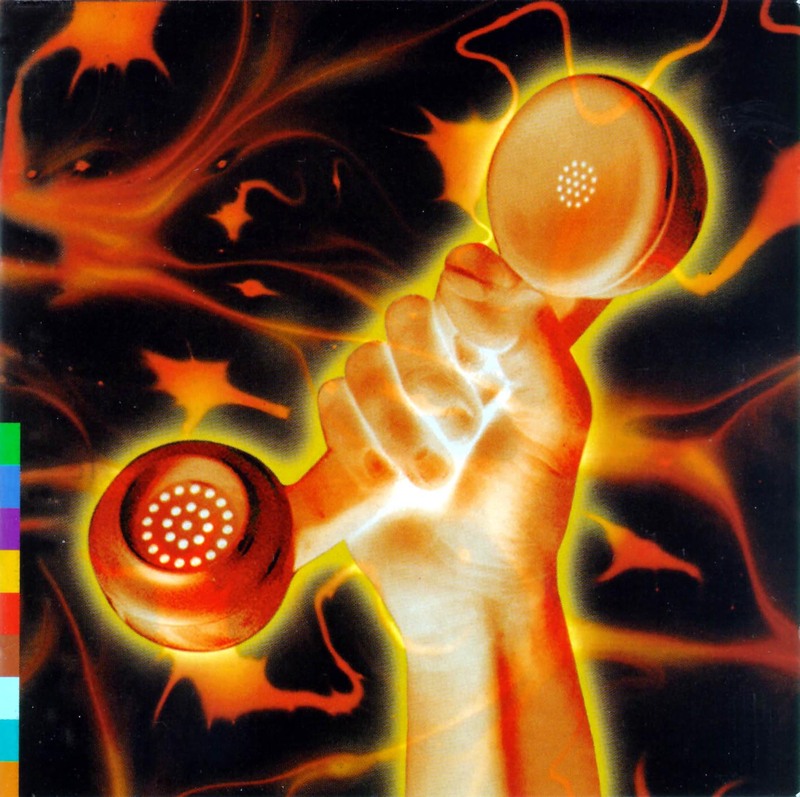 There have been a few live concerts in my life which made it to the top of the list at least for a few years: Sting’s Tuscany piece “… all this time”, recorded at 9/11, the “Concert for George” Harrison, of course, and this one: Peter Gabriel’s live tour for the “Us” album, in which he – according to sources – worked up several personal problems like his failed marriage or the relationship with his daughter. The stage concept for the life show underpinned the conceptual approach to the album’s music by presenting the band on 2 stages – a circular and a square one – linked together by a conveyor belt and constructed to be set up in the middle of the respective venue. Gabriel had developed the concept together with Canadian theatre director Robert Lepage (and I am never able to tell that bit without mentioning the Canadian film drama “Jesus of Montreal” where Lepage had one of his first ever cinema appearances; the film is really worth a watch). I saw the show in 1993 when it stopped by in Wels, Upper Austria, unfortunately omitting the original stage concept, which I discovered only afterwards – the more I loved it! Best piece in it? “Secret World” (never heard a stronger version of it than this one; maybe because of the rotating vidiwall used to underpin the song’s motif).